A Happy Chinese New Year (Gong Xi Fa Cai), My Dear Readers! Hello and Welcome to the Year of the Dragon! Gong Xi Fa Cai (Mandarin) or Gong Hei Fatt Choy (Cantonese) or Gong Hee Huat Chai (Hokkien) to all of you! This year marks the Year of the Dragon. What does that mean for you? I’m not sure, but if you like to read up on some Chinese Zodiac and Horoscope predictions, feel free to delve further into other websites. What I would like to show you instead, is my version of Chinese New Year (a.k.a. Lunar New Year or Spring Festival)! One hectic day is what I call it! 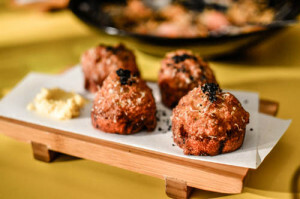 Chinese New Year usually starts the night before with a major reunion dinner! Where we toss a salad (usually with seafood) where each item on the plate represents a different meaning (always good things i.e. 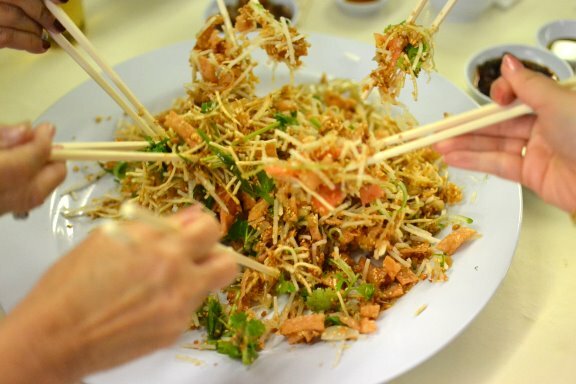 gold, prosperity, wealth [play of words from Chinese]) and whilst we toss this Yee Sang, we each shout different nice and prosperous sayings to herald a good year ahead. Another key food item usually consumed during this time (the entire 15 days of Chinese New Year) is the glutinous rice cake known as Nien Gou (Nian Gao) which symbolises the old form of Chinese coins. Nian means year while gao means cake but also sounds similar to ‘high‘ in Chinese and therefore representing a ‘high‘ year ahead. After the feasting, we all head back to bed, for an early morning. 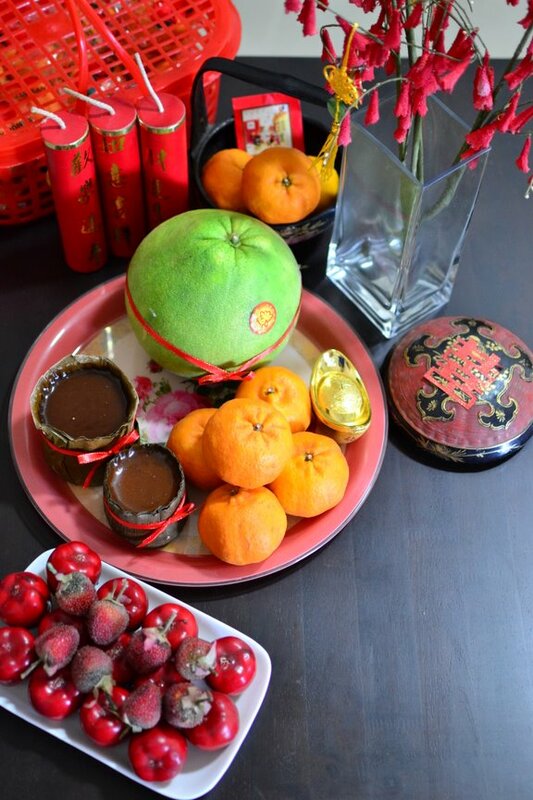 For the more of superstitious traditional families, we will welcome the God of Prosperity (Choy Sun Ye/ Chai Shen/ Chai Xin) by invoking his name and offering incense sticks and prayers. Prayers will also be offered to various deities of heaven and earth as a sign of respect. We usually (being a Buddhist family) abstain from meat during the first day and are full vegetarians as it apparently ensues longevity. 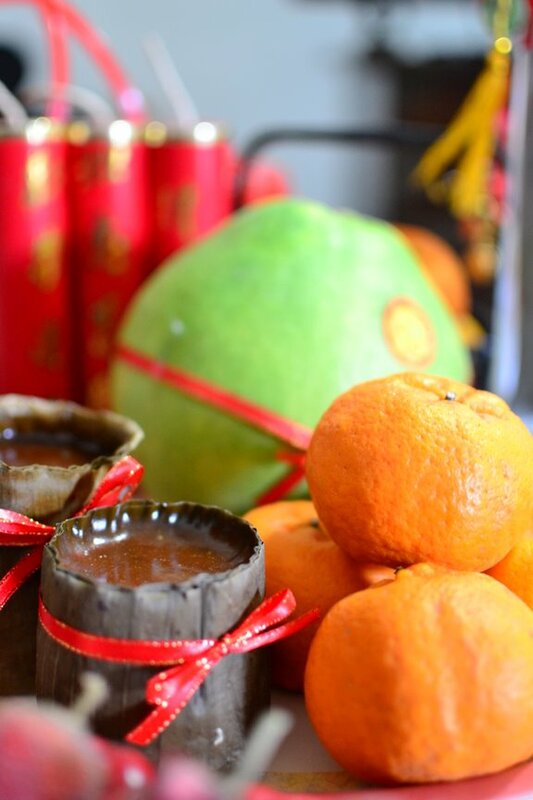 Another superstition tradition involves no floors to be swept (as you might sweep all the good fortune and luck away), firecrackers to be let off and lion dances (to scare evil spirits away), the exchange of many many mandarin oranges (as they symbolise gold), and other exciting activities. I’ll stop here so as not to bore you with quirky customs and traditions and will instead leave you with this hilarious video of a Lion Dance troupe in Malaysia doing what seems to be a traditional act with a modern twist! Wikipedia has a pretty good explanation and breakdown of what happens from Day 1 to Day 15 of the Chinese New Year as well as the symbolism and customs of why we do certain things. I do hope you have a lovely 2012 ahead of you and once again Gong Hei Fatt Choy!!! Thanks Sarah!! Happy Chinese New Year!! the tiger shuffle is the best thing ever in cny. 🙂 my favorite!! Thanks Julie! Gong Hei Gong Hei! 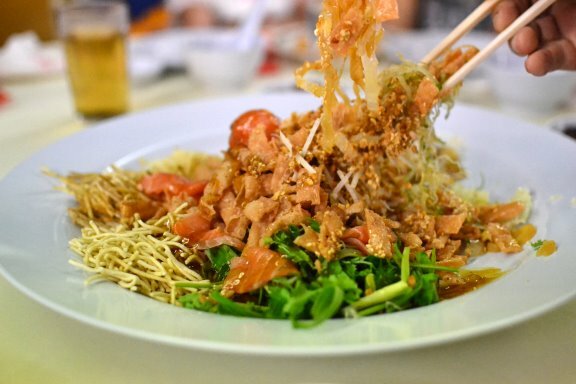 That yee sang looks fabulous! Wishing you and your family a happy new year and lots of success for 2012! I’m an Asian too and we celebrate Chinese New Year in our country. In fact, it’s considered as one of our national holidays. I am a dragon baby and this could be my year. How about you? Gong Xi Fa Cai to you! 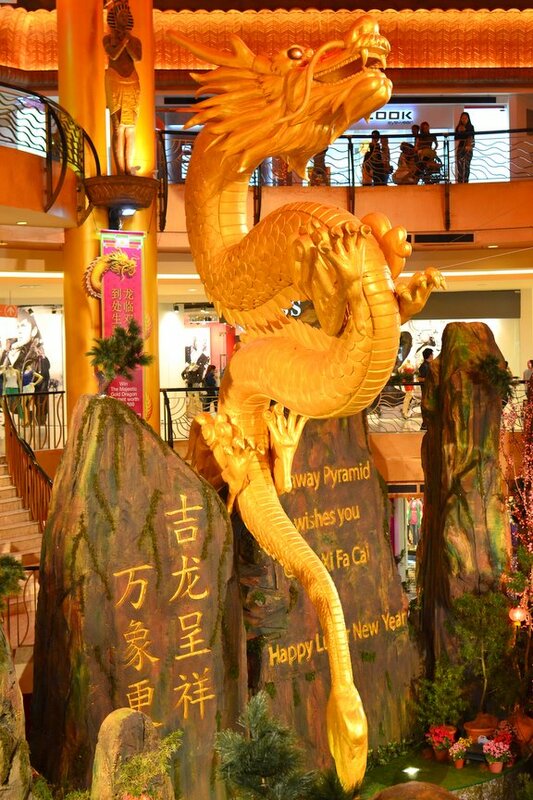 Happy year of the Dragon to you! Here’s to lots more Dragon eating. Oh yes! Water Dragon it is this year. It’s been raining non-stop, but that hasn’t stopped the eating adventures! Happy CNY!!!! Although, I was eating Filipino food on Sunday LOL BUT…I was in Chinatown later on. It’s so nice and cool to see what other people eat eh? Happy Chinese New Year! 😀 Hope you’re having fun in Malaysia 🙂 Yaay Yee Sang! My mum just whipped up an impromptu one for our dinner tonight too! What?! That’s amazing! I wish I could whip yee sang up impromptu as well.. it’s so much work! Its also full of superstitions, money, alcohol, and gambling!